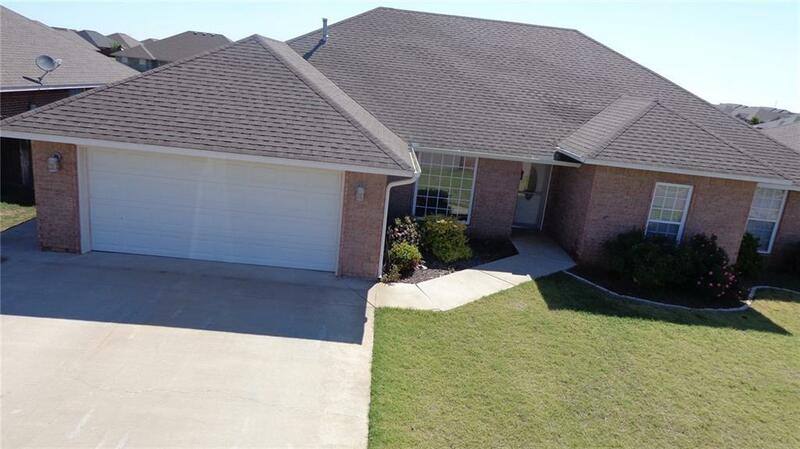 3004 White Tail Dr, Altus, OK.| MLS# 848012 | CENTURY 21 Altus Prestige Realty, Inc.
2,087 sq ft; lot: 9627 sq ft - MLS# 848012 Courtesy of C-21 Altus Prestige, Inc., Jimmie Anderson Jr.
Nice newer construction 4Br 2 Bathroom Open Living area breakfast nook and up front formal dinning area that could be used as office or additional living space. All stainless appliances that stay with the home. large bedrooms with walk in closets in all bedrooms. variable height ceilings solid surface counters oak stained cabinets. In floor storm shelter in the garage and a whole house water softener. The back yard is completely fenced with a wood privacy fence. Landscaping in the front already done. some guttering on the home. Lots of light nice tile floors and double sinks in both bathrooms. Just take a look! !